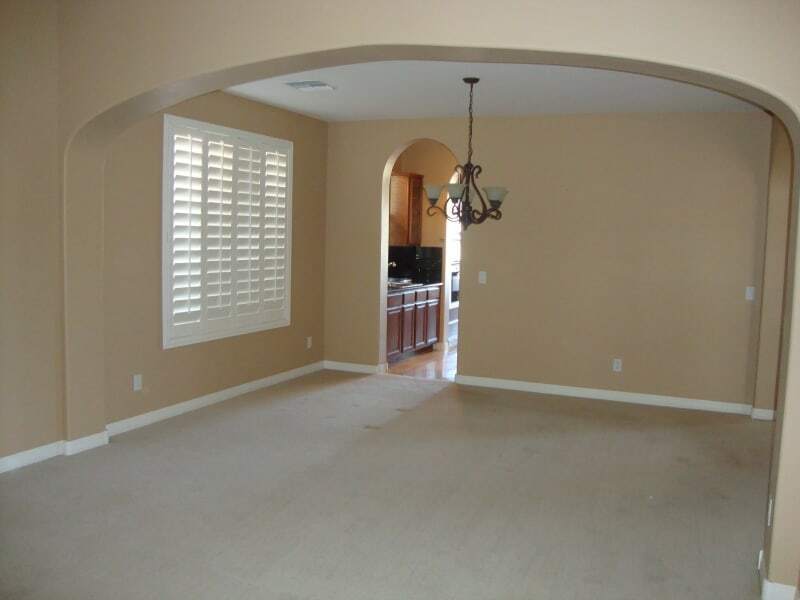 During our client’s second project he wanted to convert his formal living and dining space into a game room space for fun with family and friends. 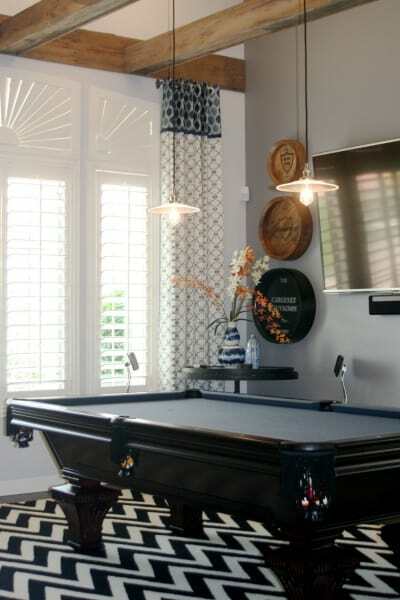 This began with a custom pool table in a traditional style with a blue grey felt top in the living space. This set the beginning tone of the space. Beneath the pool table we laid a custom sized black and white flat weave rug in a zig zag pattern. Our color palette for the space was varying tones of greys, blue grey, navy, light sea mist green, orange, brown, and cream, black and white. 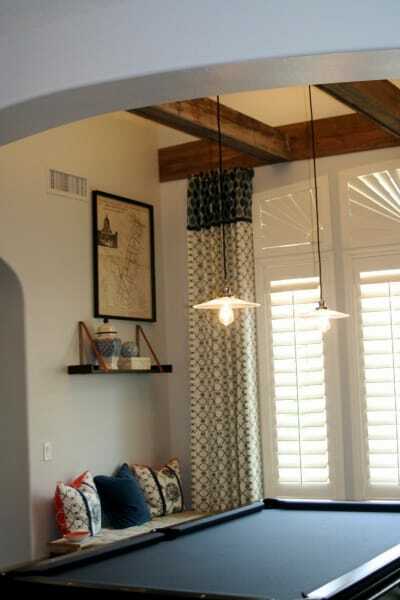 Since in the living room space the ceiling height was 15’ height and there was no character in the space and lighting to speak of, we designed and selected fabulous reclaimed fir barn wood and had the contractor install 3 floating beams with cleats on the 2 ends. On top of each beam we ran LED lighting which is on a dimmer switch for ambiance and function. 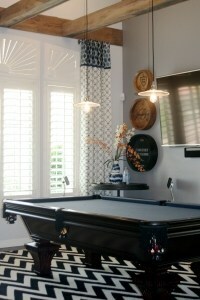 We also added 2 vintage reproduction light pendants above the pool table for task lighting. Since the reclaimed wood was the inspiration we took heed to the vintage repurposed industrial style mixed with classic pieces. We created a game table from a repurposed jet engine cylinder as the game table base and designed a solid cherry wood top with a leaf on a sprocket system, suitable for gathering of 6 to play board games or poker. We kept the natural patina of the burn markings from the jet fuel. We highlighted the cylinder base with LED lighting on a dimmer inside the cylinder which shown through the perforations and the 2 etched glass inlaid in the wood top. We created an orb chandelier with 3 Edison bulbs hanging from a vintage orb we found locally. We mixed the industrial style of the game table with 6 classic Chinese Chippendale arm chairs in a soft grey. 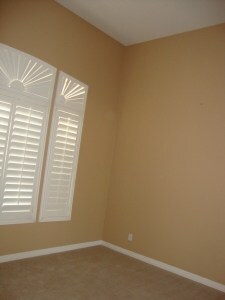 We added back padded cushions for comfort and reupholstered the chairs. Since this space is for entertaining we incorporated areas to sit and watch while a pool game was being played. 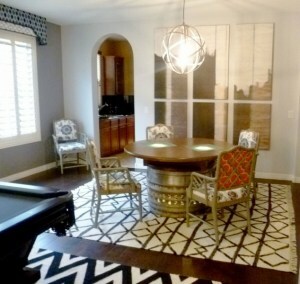 Underneath the game table we laid a flat weave rug in a black and white graphic pattern. A weathered wood tufted bench to sit on while waiting your turn to play pool even included a quartz top silver leafed small accent table to sit a drink on. 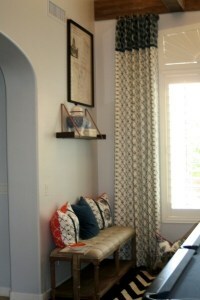 Giving nod to my client’s family career history we added a vintage metal milk crate as an accent. We added another seating group of an adjustable industrial style pub table inlayed wood top with black finish rustic forged metal edge and crank style base along with adjustable industrial style draftsman stools. 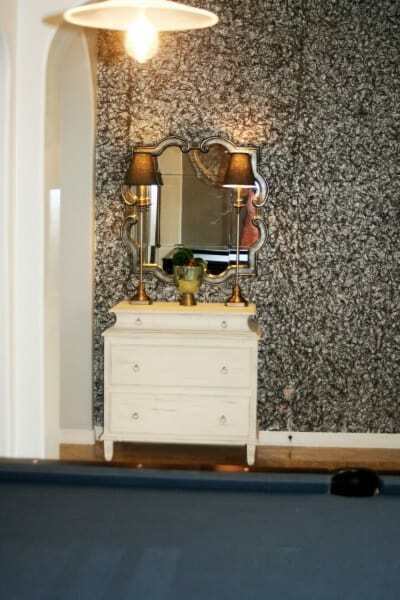 In the entry corridor we added a coconut husk wall paper which you can see through to the soft grey paint behind it. It adds a textural experience to the eye as you walk in. We added a indigo and cream Ikat patterned rug in the entry corridor. 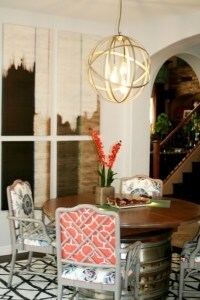 We added pops of color with the orange, navy and white and touches of the sea mist throughout the space. Custom drapery panels and 3D cornice accentuate the lines of the shuttered windows. 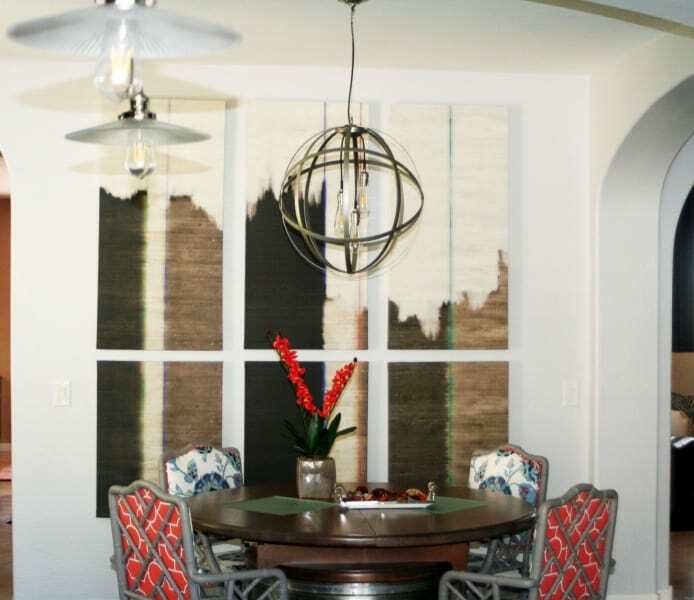 Since my client’s design style is diverse and comfortable mixing the old repurposed with the new was the way to go in this space.